Memnonia Snoutbean is a distinct variety of Burn-Mouth Vine, differing mostly in the stems and leaves being covered with minute persistent gray velvety-hairs. Leaflets are 3, nearly as broad as long, blunt triangular in the lower half. 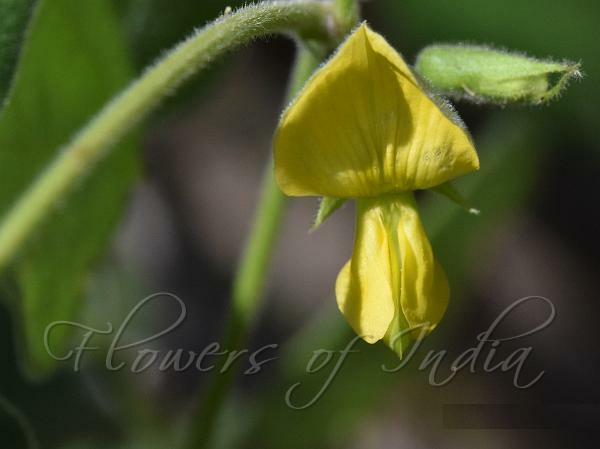 Flowers are few, borne in lax racemes, yellow, shaped like pea flowers. Sepal teeth are longer than the calyx-tube, pod is 3-4 times the calyx. 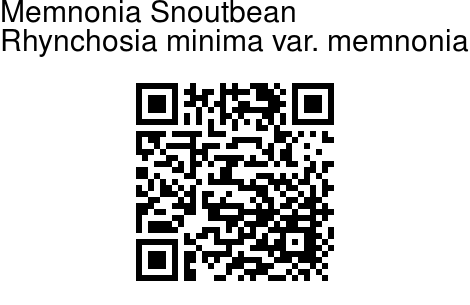 Memnonia Snoutbean is found in Tropical Asia and Africa. Identification credit: S. Kasim Photographed at Sathankulam, Tamil Nadu.